Python Eval Function Tutorial With Example is today’s topic. The eval() method parses the expression passed to that function it and runs python expression(code) within the program. In simple terms, Python eval() method runs the python code, which is passed as an argument within the program. The eval() method returns the result evaluated from the expression. The syntax of eval() method is following. expression – this string is parsed and evaluated as Python expression. globals (optional) – a dictionary. 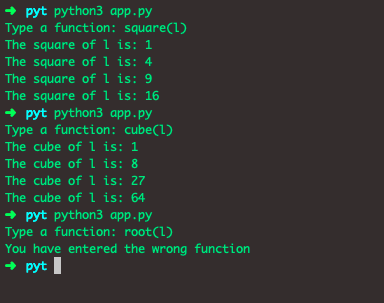 See the following example of eval() function in Python. So, in the above code, k + 1 evaluates as a 21 + 1 and we get an output 22. So, eval function takes an expression and execute that expression and gives the output. Let’s take a real-time example of eval function. Above code has two choices of functions. If the user types the square(l), then it will return the squares of the values in for loop and if cube it will create the cubes of each value from 1 to 5. See the below output. If you are using an eval(input()) in your code, it’s an excellent idea to check which variables and methods a user can use. You can see which variables and functions are available using the Python dir() function. More often than not, all the available functions and variables used in the expression (first parameter to the eval()) may not be needed, or even may have the security loop hole. You may need to restrict the use of these methods and variables for eval() method. You can do so by passing optional globals and locals parameters (dictionaries) to the eval() function. If both parameters are omitted (as in our earlier examples), the expression is executed in the current scope. You can check the available variables and methods using the following code. The globals and locals parameters (dictionaries) are used for global and local variables respectively. If the locals dictionary is omitted, it defaults to the globals dictionary. Meaning, globals will be used for both global and local variables. See the following example. The output of the eval function is following. If you pass the empty dictionary as globals, only the __builtins__ are available to expression (first parameter to the eval()). Even though we have imported the math module in an above program, expression can’t access any of the functions provided by the math module. Write the following code inside the app.py file in order to make certain methods available to the user. Here, the expression can also use the sqrt() and pow() methods along with __builtins__. Also, it’s possible to change the name of the method available for the expression according to your wish. You can make needed functions and variables available for the use by passing locals dictionary. See the following example. Finally, Python Eval Function Tutorial With Example is over.